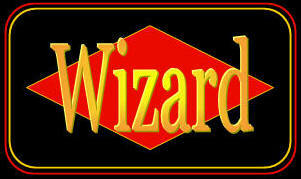 Master points are awarded to the "Final Table" in any authorized Wizard tournament. 1. It is permissable to change one's user name without losing accumulated Master Points. 2. It is not permissable to transfer Master Points from one user name to another even if both user names are the same person. In order to standardize the tabulation of Master Points effective Nov.10, 2010 the method below will be implemented. Only whole numbers will be recorded. Revised TOURNAMENT SCORING of Master Points Nov.2010. *Both online and live tournaments. * All decimals of .5 or more are rounded UP to the nearest whole number. * All decimals of less than .5 are rounded DOWN to the nearest whole number. 1st place: receives points equal to the number in the tournament. 3rd place receives 50% of points for 2nd place. For Tournaments of 40-79 players. 1st, 2nd, 3rd, as above. 4th place receives 50% of pts for 3rd. For Tournaments of 80+ players. 1st, 2nd, 3rd, 4th as above. See SCORING SYSTEM for more info. * A new category of points is established effective March 12, 2011 for tournaments that are invitational and in effect limited to players of exceptional skill and/or accomplishments. For example North American representatives at Invitational World Wizard tournaments. These points are known as "PULSAR Points". 1st receives points equal to the number in the tournament, 2nd No. in tourn less 5, 3rd No. in tourn. less 10.